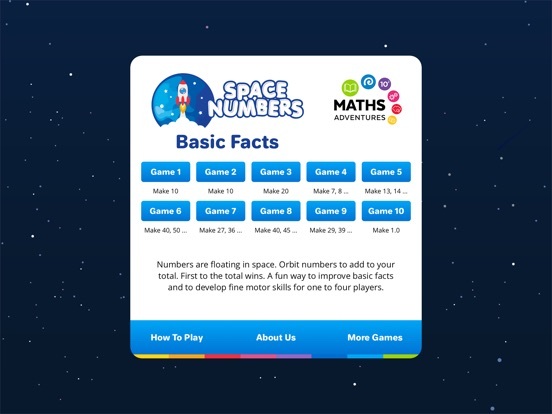 Space Numbers is a multiplayer game helping children learn addition and subtraction number facts. 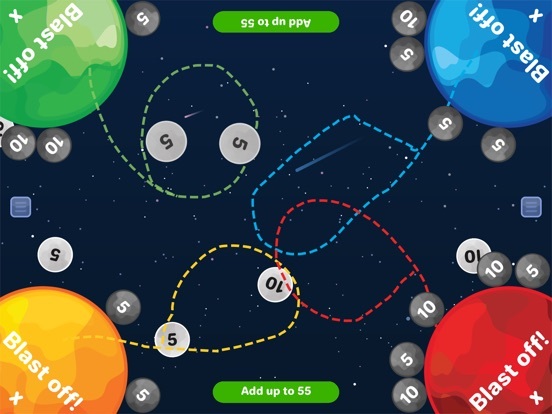 Players learn the basic facts by capturing numbers to reach a total. 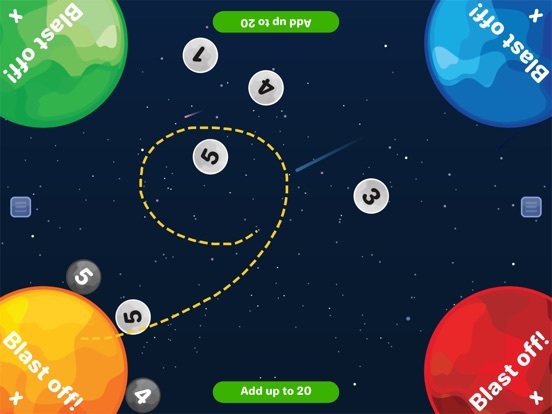 The player who gets to the total and taps “Blast Off” first wins! To progress and succeed at math children need to be able to quickly and easily recall number facts. Space Numbers is a fun way to practice this key skill. 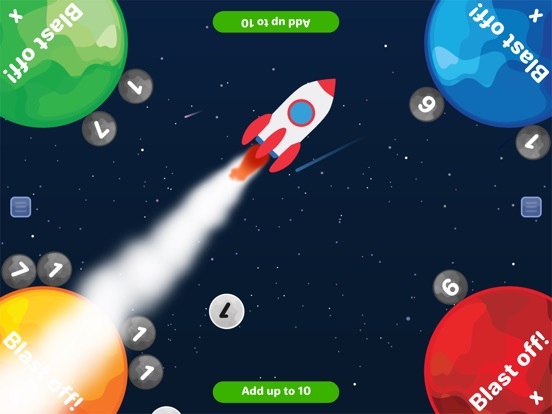 This app focuses on adding numbers and develops children’s fine motor skills or dexterity. Being able to quickly and easily recall number facts, draw and write are essential skills needed to progress and succeed at school and beyond.